Who would like a FREE grande hot brewed coffee? 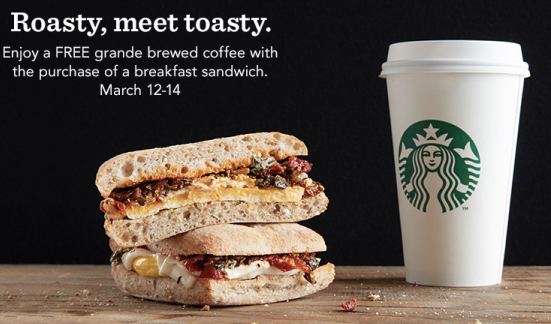 Purchase any any of their eight breakfast sandwiches to get your FREE coffee. Choose from Egg & Cheddar, Slow-Roasted Ham & Swiss, Vegetable & Fontiago and more! 56 Count Listerine Whitening Strips just $10.50 Shipped!